Three people died after a plane crashed into a stationary helicopter in Nepal on 13 April. The plane went off the runway during its takeoff in Lukla Airport, one of the world’s most dangerous airports to take off and land due to its short runways and Everest mountains surrounding it. The pilot and two other police officers standing near the helicopter died, and three passengers were injured. According to local officials, the weather was good that day and the reason for the accident is unclear. 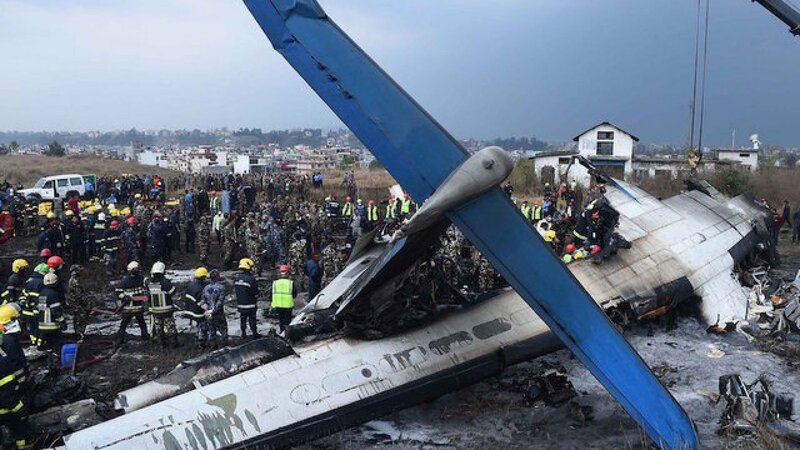 In 2008, 18 people were killed during landing in Lukla Airport and 7 people, including Nepal’s Minister of Culture, Tourism and Civil Aviation Rabindra Adhikari, died this February in a helicopter crash under similar circumstances. Due to poor flight safety record, the European Union banned Nepalese Airlines to fly across its airspace.